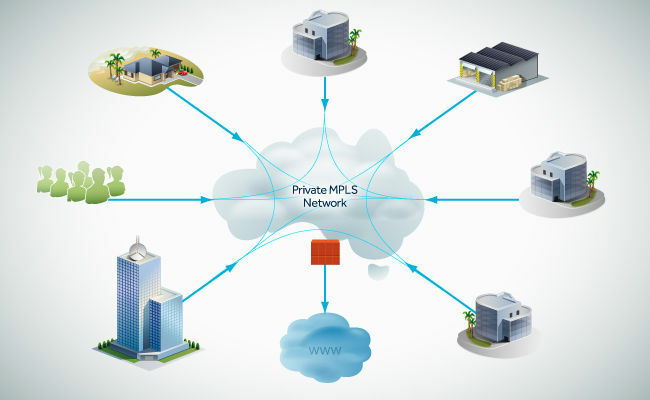 Companies have relied on MPLS (Multiprotocol Label Switching) to create secure, private networks using IP technology. Packets are routed securely across the providers network to connect users and branch offices. Companies can reach the network across the US and even internationally and the service provider manages routing and traffic prioritization. Why is it a great time to scale that MPLS network and increase bandwidth? The reason is because of new technologies like SD WAN and competitive service providers offering cheap Internet has driven the prices of private bandwidth down much like the cost of Internet has dropped. Many customers who built out a 10mb network to all branch offices already have fiber in the building and can often upgrade to 5 and 10 times the bandwidth (50 to 100mb) without incurring any additional monthly cost. In some metro areas where there is an abundance of fiber available and little cost to the carrier MPLS connections up to 100mb can be found for $5-600 a month. MPLS still provides something that software defined networks do not….private routing, and full QoS for applications. Even with business-class Internet services, no one can guarantee performance, that’s just the nature of Internet (a public network). And while IT engineers can implement quality of service on their edge routers to give some Internet-bound traffic priority over others, they can't match the privacy and control that MPLS provides across the WAN. As networking technology evolves, it's important to remember that there are existing solutions that provide many of the top benefits IT pros and business owners care about such as improving operational efficiency while ensuring security of the enterprises applications. Lastly, while many applications have moved to the cloud there are still many on-premise applications and many companies still need to connect geographically dispersed locations with a robust, high performing and secure WAN solution.